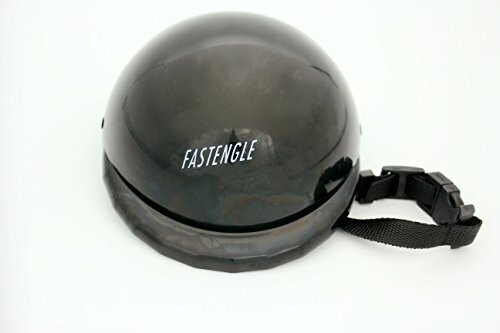 This FastEngle Helmet is a new and unique pet accessory. They are made with the ABS plastic ,This lightweight helmets are for dogs and cats who love to travel. And Protect pet's head from the sun, wind and irritant objects. Kind Remind:And Item displayed in the photos may show slightly different on your computer monitor, since monitors are not calibrated. Protect pet's head from the sun, wind and irritant objects. Light weight, Padded inside and come in with adjustable chin strap. Large size fits a Dog with width of head 6" and Circumference 16-19"
If you have any questions about this product by FastEngle, contact us by completing and submitting the form below. If you are looking for a specif part number, please include it with your message.